Need a new boiler in Bagshot? Get FREE no-obligation quotes now! RBHM Limited are Gas Safe registered heating engineers who supply and install gas boilers. For similar replacement boiler companies in this area please visit the Bagshot boiler page. RBHM specialise in the installation of Worcester Bosch and ATAG boilers which both come with an industry leading 10 years guarantee on all models. All of our plumbers at RBHM are fully qualified and time served with advanced qualifications from city and guilds. our dedicated team of plumbers also work 365 days a year for all your central heating and plumbing emergencies. 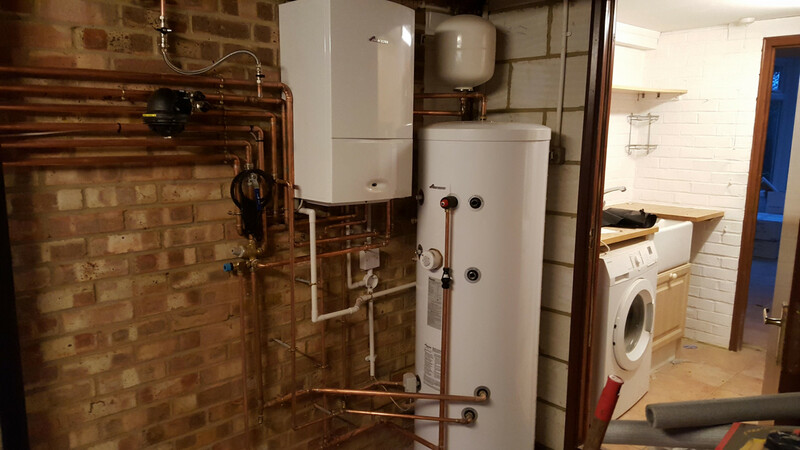 The vast majority of the plumbing jobs that we undertake in Berkshire and Surrey are done on a repeat basis for our established and growing customer base. We feel that this testifies to the high standard of our plumbers work ethics. Matthew and team did a great job installing a new boiler. He gave good advice and recommendations and did a few little extra things while he was at it. Very neat and clean work. Highly recommended and I will use again if I need further plumbing work.